If there’s anything we have all( me, you, and the entire population that walk the Earth) have perfected, it’s faking how we feel. Whether it’s to save someone’s feelings, or too protect your own, faking, doesn’t seem to be going out of fashion. 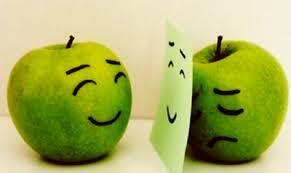 I don’t care how good you think your poker face is, I am the best at hiding how I really feel. (Mainly because I’m saved now, and if I haven’t mastered thinking godly thoughts, I can at least begin with exhibiting godly actions.) I’m forever listening to people’s story and inwardly rolling my eyes or thinking of ways to hide my shock and slight judgement at the outrageous piece of information they’ve just given me. Side-note: I’m being honest; God’s still working on me. Other times the thought of letting you in to see my heart, just brings a whole new fear to the pile I am struggling with. FAKE IT TILL YOU MAKE IT has become so ingrained in our psyches that we don’t even attempt an honest way of living. Of course common courtesy is important, you don’t need to go around telling people exactly what you think if your thoughts aren’t going to be beneficial, but why do we have to lie? Why must we put on a persona that is at odds with how we really feel and tricks people into thinking that we are some kind of Superhuman, always happy, always interesting, never facing any real-life drama? Don’t believe you’re part of the faking crew? I bet you (obviously not money-I’m a student) that you can count on one hand the amount of times you’ve answered honestly to the question: “How are you?” We say, ‘fine’, we smile, ‘great’, and some of us even enthusiastically nod, ‘really good thanks’, when really we mean ‘exhausted,’ ‘broken,’ and fed-up.’ If you live in Britain then you know the rule of having a stiff upper lip, that we’re all obliged to obey. Is it not just a bit crazy to think people feel the need to apologise at the funerals of their dead family and friends, because they’ve shed a tear. Someone close to you has died, if you want to cry, scream, or sit silently in your grief, then you are FULLY within your rights to do so. Maybe you’re not tired of faking it, but I sure am. So what next? Should we all cry at bus stops and allow ourselves to break down in front of strangers that simply asked us how we were out of politeness? (I hear you hoping there’s another way). Luckily for everyone there is. Once you get past the fact that this scripture is so eloquently encouraging and perfect to be made into a meme that would definitely drum up a good amount of shares and Retweets, you can see how powerful it is. In one line we have instructions for all of our feelings and the need to fake it evaporates. You don’t have to conceal your emotions when you’re dealing with them. Why not have a re-read. Not only are we told how to feel, we are given advice on what do. Instead of faking it, when you’re faced with affliction be patient and faithful in prayer. Don’t just take on board the joy and the patience and forget to pray. It’s a bit worrying the lack of interest people seem to have in praying, maybe more of us would attend prayer meeting if we acknowledged that prayer is literally the only thing that saves you. I’ve said it before but I shall re-iterate: Life and death is in the power of the tongue, so whatever you’re saying is UBER important. Pray because you feel sad, pray because you need the strength to persist. When in doubt pray and when you’re weak pray. Have you noticed the pattern yet? When you stop communicating with God it’s easy to start believing that He has forsaken you, when really you’ve just distanced yourself from him. Especially when you’re in the midst of the storm: communication is key. Ignoring God when you’re battling for your life is literally like swimming away from your life jacket. Nonsensical, right?! Last week I told you that I was full of sorrow, and I thank God that I have a new attitude , but I should let you know that the situation hasn’t changed. I seek God daily and speak to my Heavenly Father constantly because communicating with Him is the ONLY, and when I say only, I mean ONLY thing that gives me the strength for each new day. Let me quickly clarify. I know I’ve told you to stop feeling like you have to fake how you feel, but I’m not supporting walking around with Sadface 24/7. Sometimes life chucks things at you that are slightly more serious than breaking a nail or having to wait for hours to sit in your barber’s chair. When there’s nothing obvious to be thankful for you still have to CHOOSE to rejoice.